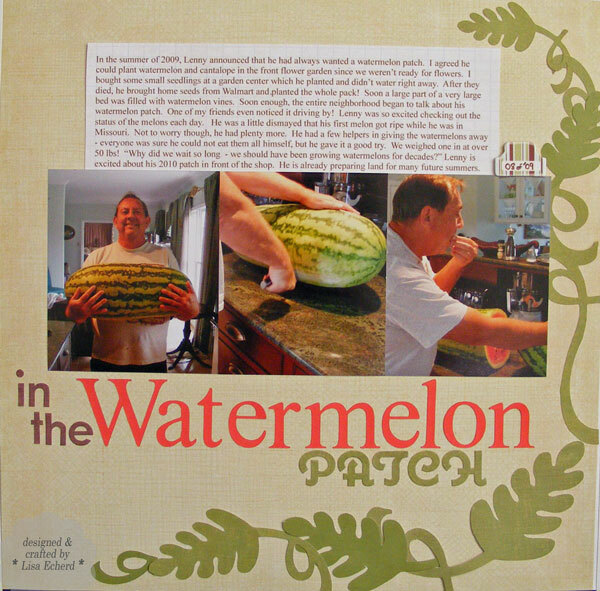 In the summer of 2009, Lenny announced that he had always wanted a watermelon patch. I agreed that he could plant watermelon and cantalope in the front flower garden since we weren’t ready for flowers. I bought some small seedlings at a garden center which he planted and didn’t water right away. 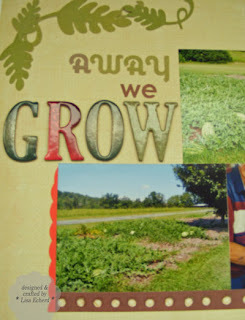 After they died, he brought home seeds from Walmart and planted the whole pack! Soon a large part of a very large bed was filled with watermelon vines. Soon enough, the entire neighborhood began to talk about his watermelon patch. One of my friends even noticed it driving by! Lenny was so excited checking out the status of the melons each day. He was a little dismayed that his first melon got ripe while he was in Missouri. Not to worry though, he had plenty more. He had a few helpers in giving the watermelons away - everyone was sure he could not eat them all himself, but he gave it a good try. We weighed one in at over 50 lbs! 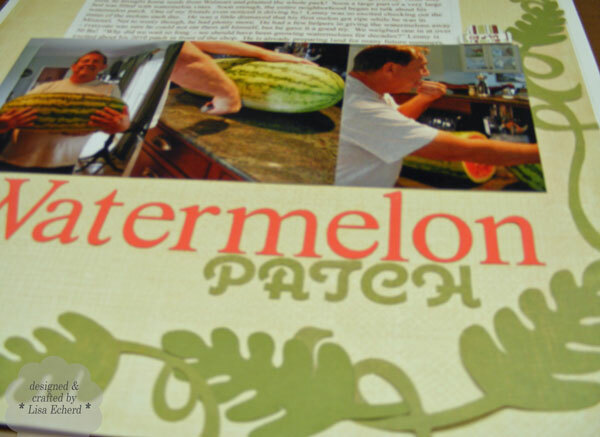 “Why did we wait so long - we should have been growing watermelons for decades?” Lenny is excited about his 2010 patch to be in front of the shop and has started preparing land for many future summers. To create the watermelon vine leaves, I used a leaf from Photoshop Elements and added a couple of extra "parts" - whatever the little leaf parts of a leaf are called? I also used PSE to draw the vine and then cut the pieces in different sizes on the Cricut using SCAL software. I used two different green papers to add some interest. Thank you for stopping by my blog! I like this two page spread! 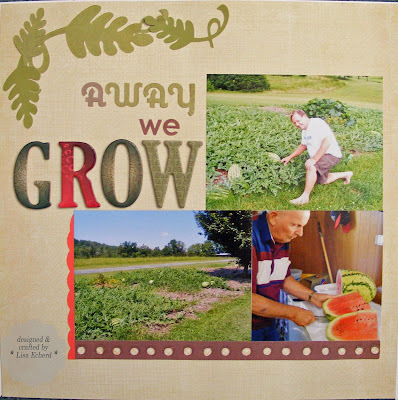 Growing your own watermellons Nice.